Have you booked your holiday flights yet? In mid-November, holiday flights go up to $3 or $4 a day, and by Thanksgiving, it's closer to $6 or $7. A month before Christmas and New Year’s, prices will spike — so it’s a good idea to have your winter holiday travel booked by Thanksgiving at the latest. Don’t wait on sales, because at least three weeks of travel dates (starting in mid-December) will likely be blacked out. “Your goal is about getting what I like to call a ‘better bad deal,’ because there are no ‘good’ deals,” says Rick Seaney, co-founder and CEO of FareCompare.com. Here’s an idea of how travel costs compound over the course of the season. In early November, start adding a dollar or two each day to your virtual airline ticket, says Seaney. In mid-November, bump that number up to $3 or $4 a day, and once you hit Thanksgiving, $6 or $7 a day. Note that if you’re headed to a warm-weather destination (like the Caribbean or South Florida), those numbers might double — especially after so many people waited to see when Caribbean travel would be possible after this year’s hurricanes. There are some exceptions, however — for flights under 1.5 hours, prices don’t tend to spike as much as they do for longer flights. 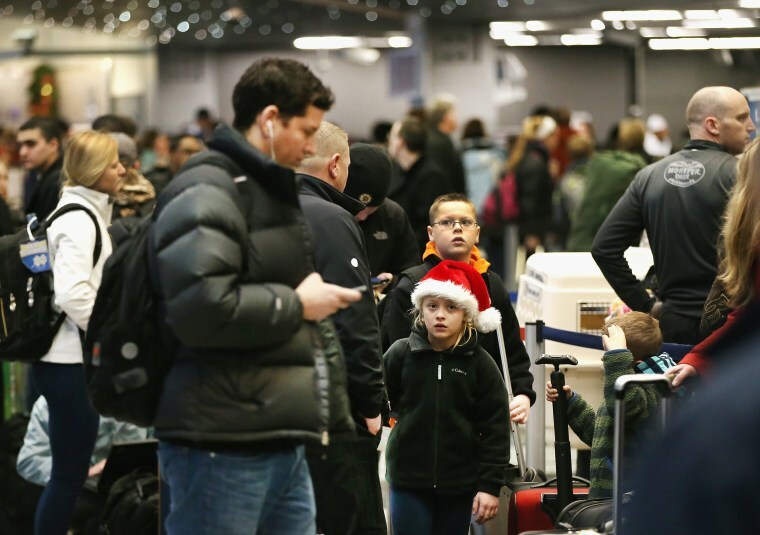 “Christmas is a much longer [season] for airlines than it is for kids because it starts in mid-December and goes to the first week of January,” says Seaney. He notes pricing for flight dates is relatively cheap until Sunday, December 17, when ticket costs start to jump dramatically — in many cases, double compared to the previous two weeks. The best way to save is to avoid the herd. If at all possible, flexibility on your dates and destination is a bonus, and Christmas and New Year’s Day are generally the cheapest days to fly during the holiday season. “When we looked at the data this year, the Thursday/Friday/Saturday leading up to Christmas is the most expensive time to fly out, and if you want to save coming back, you need to wait… until January 3,” says Patrick Surry, chief data scientist at Hopper. He says avoiding flying during that window of time could translate to savings of 25 to 30 percent of your round-trip ticket price. If you’re opting to pay with a credit card, check to make sure which one provides the most bang for your buck by looking up the rewards policies on sites like NerdWallet or CreditCards.com. Another option is to use an app like Wallaby, which automatically tells you which card is best, rewards-wise, for any purchase. If you’re hoping to use frequent flier points to book, on the other hand, know that there are usually two “levels” when it comes to a flight’s cost in points — one is cheaper, and one is usually much more expensive. A good rule of thumb when deciding whether to use points at all: If the flight costs below $450 or $460, it’s likely a better value in cash, and if it’s above that cost, consider using points. “I like to treat my miles and points as virtual currency,” says Seaney, noting that he tries to get at least 2.5 to 3.5 cents per point. Here’s why — and how it works: There’s essentially a billion-dollar marketplace in which different banks buy points from airlines, then use them as rewards to encourage you to spend. There are different partnerships — for example, Citi Bank usually works with American Airlines — and banks usually shell out about 1 to 1.5 cents per mile. As a consumer, making sure your points will go further (2.5, 3 or even 4 cents) at checkout will mean a better value for your “dollar.” To check the value, divide the dollar cost of the flight by the number of points it’ll take to purchase it. Last-minute travel (with ticket prices upwards of $700) usually gets you a higher value on your points, as does saving them up for a big trip abroad, says Seaney.